A mostly healthy food blog featuring whole foods that's sometimes paleo, sometimes vegan and often times in between. From clean eating to modified paleo, from my versions of the Mexican dishes of my childhood to vegetarian and vegan recipes, I'm cooking my way back to health using whole, locally sourced foods where ever possible and I'm sharing the tips and tricks I learn along the way with you. Hello. I’m Ani and I’d like to welcome you to Confessions of a Foodie. 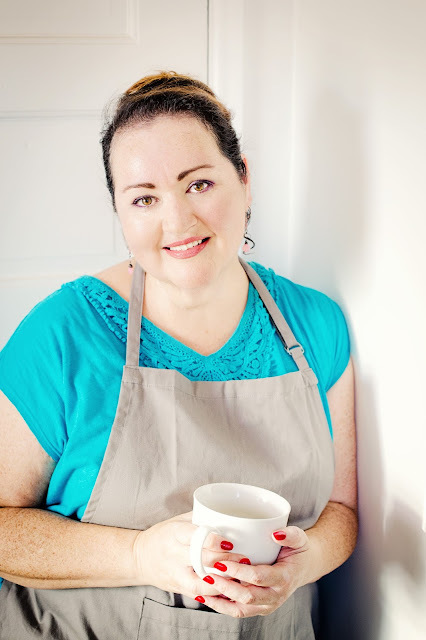 This space is my creative playground where I share stories, photography, and most importantly, recipes – most of which are my own creations, some inspired by my favorite bloggers, magazines, and cookbook authors and a good portion of them are inspired by the recipes my family has cooked for generations. My days are spent working for a newspaper as a senior designer where I art direct the food and home sections. I have been a photographer, workshop leader, food stylist, darkroom technician, freelance writer and have made and sold jewelry at various points along my career. The two constants in my life since I was a child, however, have been my two biggest passions: food and photography. My sisters and I learned to show love by preparing meals and feeding those we care about. I learned to cook watching and helping my parents: mom as she prepared the daily meals, and dad as he prepared his special recipes for weekends and family gatherings. Dad used to cook for a living so he had much to teach. The rest I taught myself. In my 20s and 30s I spent a lot of time and energy throwing elaborate gatherings in my home, often spending several days preparing all the dishes myself to share with friends and family. People often asked for recipes and I’d find myself scrambling to remember every ingredient and guess measurements (when creating my own, I never used to bother writing them down!) then I’d send them out via email. In 2007, a friend who ran her own food blog, encouraged me to do the same. Recipes in the beginning were my comfort foods, interpretations of family recipes and recipes I learned along the way. The only requirement used to be that they tasted great. These days, I’m shifting my focus to healthier comfort food, remaking my favorite dishes using more wholesome ingredients with an eye towards organic, free-range, grass fed when I can afford to splurge. The shift came about because in June of 2014, after months of not feeling like myself, I finally went to the doctor and was diagnosed with Type 2 Diabetes. I no longer could afford to eat mindlessly. My health had to become a priority. You can read about my “coming out” here and here. The first thing I did was cut out white starchy food: no more foods made with all-purpose flour, no white rice, no potatoes, no sugar. I drank only water, decaf coffee or tea and learned to appreciate stevia to sweeten my warm drinks. I learned to love collard greens and raw kale; organic whole wheat and quinoa; almond milk and walnuts. Four months later, I returned to the doctor and blood tests showed that I had successfully reversed my diagnosis, dropping my A1C 11 points and landing smack in the middle of healthy, normal readings. But it didn’t end there. This wasn’t a temporary diet. My diagnosis opened my eyes and made me realize that I had to be more self-nurturing and mindful of what I ate day in and day out. I am learning much as I try to forge a new culinary identity. People ask me all the time now if I’m paleo, diabetic-friendly, vegetarian or vegan. I’m not one for labels, never have been but if you must label me, then I would say that I consider myself a “flexitarian” as I do not subscribe to any one form of “diet” but rather strive for balance enjoying whole foods cooked from scratch. From clean eating to paleo, from modified recipes of my childhood to vegetarian and vegan recipes – there’s plenty to choose from here. And because life is a little sweeter with the occasional treat, you will also find recipes for sugar-free or reduced sugar sweet treats (with regular, less healthy sweets in the archives from my life before diabetes) and the occasional “cheat meal” that might be a little more decadent than my everyday eats. Learning to listen to my body and feed it with mostly healthy, wholesome, healing foods has opened up a whole new world to me – one that I find a privilege to share with you. Join me on this journey, won’t you? … Pin like a pro! For accurate pinning, don't pin from the main landing pages. Instead, click on the title of the post you want to pin from to go to that post's specific URL and then pin away. This way, your pin will bring you back to the specific recipe you want to remember and not to my general landing page. Happy pinning! I'm an Amazon Affiliate. Some links that take you to Amazon are now part of my program. If you enjoy the content I provide for you, please consider making your purchases using the link(s) provided as I will receive a very small percentage on qualifying purchases which goes towards the expenses incurred in running this blog. Other links in posts not going to Amazon are mostly just my personal favorites and I am most likely am not compensated for recommending them or for providing links. However, as I grow this blog, there will be more and more instances where I am compensated either monetarily or with free product for mentions, reviews or giveaways. Such posts will be clearly labeled as sponsored. to respond to legitimate correspondence in a timely manner. or DM me on Twitter (@afotogirl). ©2007 - 2015 ANITA L. ARAMBULA | www.confessionsofafoodie.me / afotogirl photo+graphics. I have been scanning the web for an authentic or close to it,(No copper cauldron) Carnitas recipe. When I came across your site. I knew I had found it. I can't wait to try it. Thank you so much! By the way, I love you describe yourself as a "flexitarian". Thank you, Dennis and welcome! The carnitas recipe is one of my most popular. There are a lot of questions posed and answered in the comments that I hope will be helpful if something isn't clear in the recipe. It's definitely one of my favorites!